Hide your real IP address so that you can hide your internet traffic and the real location while surfing the web. Makes nobody know what you do on the internet. 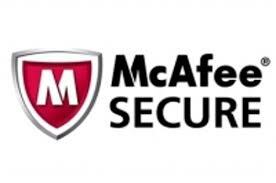 Protect yourself from network surveilance and traffic analysis. With a very friendly and simple-to-use user interface, an affordable and attractive price, as well as the best customer service, IP Hider Ever now has more then 23 thousands subscription users all over the world. We promise to continuously improve our technology and our service to meet the demands of all users, give them the best user experience ever. IP Hider Ever is a super easy program to hide your ip address . Dozens of IP address from all countries available to be your choice. One-click to make connection anonymously. DNS Lookups are redirected, protect all your online activities from being traced. Keep the same IP as long as you like or tell IP Hider Ever to choose a new IP every 1, 5, 30 or 60 minutes for extra protection. IP Hider Ever allows you to browse with confidence, you can surf any website, use Instant Messenger and Chat services (like Messenger live, Yahoo Messenger, Google Talk etc. ), Web based e-mail, Newsgroups, Web blogs and Forums and your real identity and location is never revealed. We encrypts all your traffic so that your ISP and network administrators have no idea which sites and services you are visiting. IP Hider Ever then sends your encrypted traffic through our network of secure servers located all over the world allowing you to not only change your IP address but also your location. We provide various countries and regions' IP addresses for our users, such as USA, UK, France, Canada, HK, Russia, Netherland, Portugal, Japan and so on. Protect your online privacy now! IP Hider Ever is a reliable IP and Location hider tool for Windows user. If you are a Mac user, please press the button below to get an IP hider tool for Mac. “I have been using the IP Hider Ever for about 1 year and see it becomes better and faster. This ip hider does what it says, very simple to use and works fine. all protocols(UDP, TCP, RAW...) data can be handled, large number of servers from different countries available and the best customer service." “iProxyEver team has great customer support. When I said I need a Hong Kong IP in my email, I could not believe that they did add a Hong Kong server in IP Hider Ever for me in 2 days. Thanks to Anna and the whole support team." “Really simple to use software for dummies like me. Enough IP choices ,fast connection speed, and the price is so affordable." Instant Delivery:Credit card orders are processed immediately by PayPal and the license key is delivered by email within seconds of placing your order. 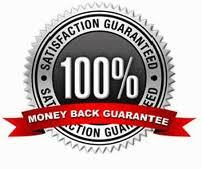 Money back Guarantee:We offer an unconditional 90 days money back guarantee, if you are not happy about your purchase for whatever reason just send us a message using our contact page and we will arrange a full refund.